Playing well at the end of the season is the key to winning the FedEx Cup. Billy Horschel certainly proved that. You didn’t really hear Horschel’s name much throughout the course of the 2013-14 PGA Tour season. But the former Florida Gator turned it on when he needed to down the home stretch of the FedEx Cup playoffs. Horschel actually stood in 82nd position following The Barclays, in which he missed the cut. But he eventually made it through to the top-70 at the BMW Championship, winning that and vaulting into the Tour Championship. Piggybacking off of that momentum, Horschel held off the likes of Rory McIlroy and Jim Furyk down the stretch at the Tour Championship in Atlanta to capture the season’s final event. Oh, that victory also won him the FedEx Cup Championship and $10 million. The win caps off a memorable PGA tour season, but there is still one more huge event on the horizon at the end of this month. The 2014 Ryder Cup gets underway the last weekend of September, where the top players from the United States and Europe come together to compete in one of the great sport events in the world. 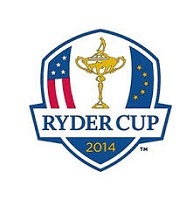 Taking place at Gleneagles Hotel, betting odds to win the 2014 Ryder Cup have been out for several months. Now that the teams have been announced however, the payouts are beginning to heat up, and more lines have been released. On the surface, Europe has been set as significant favorite over the United States, going off at -185 on the payout ($1.85 wins $1). A wager on the U.S. has been installed at +175 ($1 wins $1.75). From there, Bovada has broken betting lines up into different days. Wagers on the Day 1 winner, Foursomes winner, and Fourballs winner have been established, with every payout in favor of Europe. The only day that has yet to be released is the final day with the singles matches. In the past, the United States has been the favorite here, seen as the team with more talent. But for the first time in several years, Europe is perceived to be the team with better individual talent. This entry was posted in News, Opinion and tagged 2014 fedex cup playoffs, 2014 ryder cup betting odds, billy horschel on September 16, 2014 by Bryan.